The ability to see Life clearly is what leads us to be illuminated from within, to be enlightened. A holy Hindu scripture, Brihadanyaka Upanishad, has a prayer with the line that goes “Tamasoma Jyotirgamaya”, imploring the Almighty to lead the prayerful from ‘darkness unto light’. From a state of existing to awakening. From being unenlightened to enlightened. This state, while salubrious to the soul when in prayer, is often, in all practicality, seen as unattainable. And this is why humankind fail to see the huge opportunity to evolve and awaken to this simple truism. We think enlightenment is for the Buddha, for the fakirs, for the Himalayan Masters. And that those of us who are caught in the worldly web of action, emotion and desires, have to be content with just prayer which sounds pious on the lips but is listless in the heart! And so, we have concluded that several of us will suffer in the dark recesses of our existence. This need not be so. There is a way out. 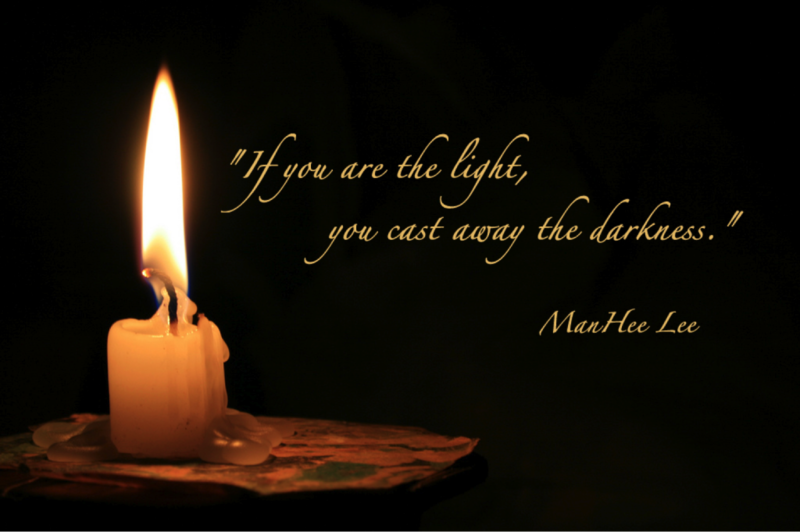 Interestingly, simply, practically, it is possible to lift ourselves from darkness to light. Instantaneously. All we need to do is to see Life with clarity. Legend has it that when the Buddha was dying, and was about to embark on his ultimate journey, his disciple Anand, was distraught and was crying. He asked the Buddha, “What will happen to me? Who will guide me now? Who will show me the light?” Buddha opened his eyes and uttered his last famous words, “Appo Deepo Bhava”. (Be a light unto yourself!) “There is no one else on this inner journey. We are all alone. We need our own light to show the way,” was the advice the Buddha gave Anand. Indeed, to find enlightenment, you don’t need anyone, you don’t need a venue, a tree or a religion. You only need yourself. You are the One! You are the only one who can be your own light. What is this light? This light is nothing but clarity in and about Life. To see things as they are. And not to interpret them or try to choose between them. There is always clarity in each moment. And you need not do anything other than just see it. For example, if there is death of a dear one, see it that way. Don’t avoid it or lament it. If there is loss in business, in love, see it as a loss. If there is birth of a child, see the new Life. Don’t reason, don’t justify, don’t exult, don’t gloat. When you see Life for what it is, as it is, choice disappears. J.Krishnamurthi (1895~1986), the renowned philosopher, calls this choicelessness. This ability to see things as they are. When we have the clarity of this insight, it brings us freedom. Because we are no longer fearful of a choice that may lead to grief or are desiring success and witnessing the bloating of our egos because we chose right. This clarity, this freedom, is the light that can illuminate our souls. When we are illuminated from within, we are enlightened. We would then have passed from darkness to eternal light.